If you are a frequent viewer of YouTube and a lover of video game parodies, chances are you have heard of The Warp Zone. They are five men that share a huge love for gaming and have created tons of videos on their YouTube channel including musical numbers and parodies of video games and their characters. The IP for The Warp Zone was bought by a company that merged with Defy Media about 5-6 years ago. The company recently went bankrupt at the end of 2018 and laid of all that worked for them, including The Warp Zone and Smosh. Because the IP was sold to help liquefy Defy Media’s debt, The Warp Zone members had lost their IP and struggled to buy it back. Months later, Davis, Brian, Odom Ryan and Schroeder received a phone call from Ian at Smosh to say that Mythical Entertainment have bought Smosh and acquired the IP for The Warp Zone. Mythical gave back the IP to its original creators which is probably the nicest thing a company has ever done without any benefit to them other than the joy of watching five grown men making videos about video games. 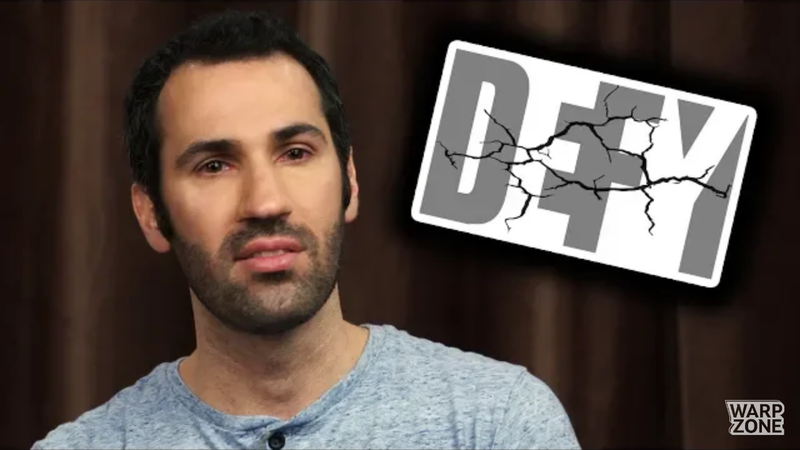 The Warp Zone has recently returned to YouTube and have spoken out about their time at Defy Media and the hardships they faced when the inevitable happened. We have included the video below but bear in mind that it doesn’t follow their usual comical themes and can be quite emotional. We at Miketendo64 are overjoyed to see The Warp Zone return and have enjoyed watching their videos and listening to their songs, perhaps more times than what is naturally healthy. Are you happy to see the guys return? Let us know in the comments below.